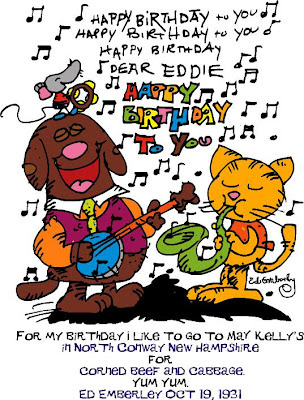 I had emailed Ed Emberley to ask him his favorite birthday memory or birthday tradition. Today, I received a wonderful drawing that shares how he likes to spend his birthday. Thank you Ed Emberley for sharing your birthday tradition with such a special drawing. I appreciate this very much! I hope you had a great birthday!